Create edible models of bone parts, use stickers to label the bones on your body, dissect soup bones and muscles, design workouts for individual muscle groups, and more! 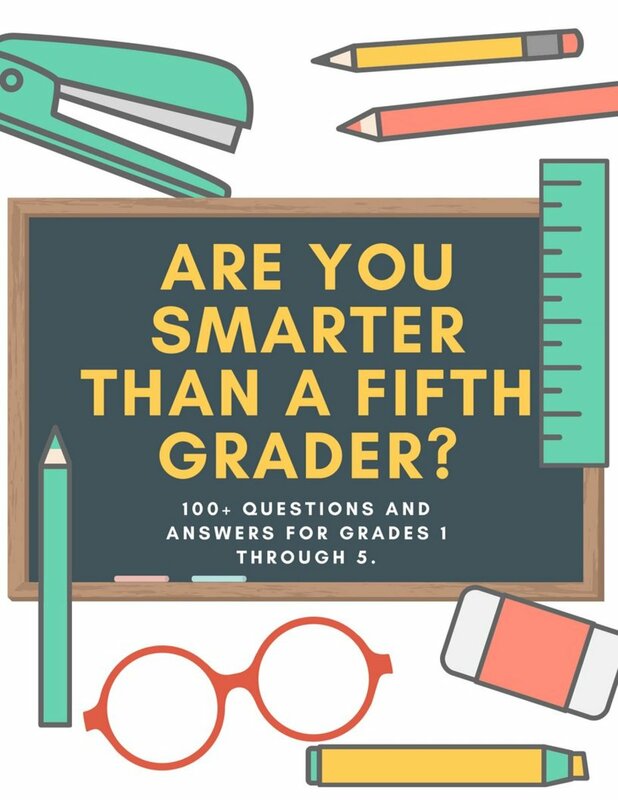 These lessons are geared toward 4th- or 5th-grade-level children and their siblings. Another creative mom planned this for our homeschooling co-op. We meet each week for 2 1/2 hours and have 33 children between the ages of 1-13. Use these fun lessons with your classroom, family, after-school program, or co-op! Skeleton system cut from "Considering God's Creation." 1. Pray. Read and discuss Ezekiel 37:1-14. 2. Review cells and DNA. Introduce the major systems of the body: endocrine system, nervous system, muscular system, urinary system, cardiovascular system, digestive system, integumentary system, skeletal system, respiratory system, reproductive system, and lymphatic system. Show a picture of and repeat a mnemonic device to remember each of the systems: each night my unintelligent cat dives into some really rocky lakes. Pre-cut body and bones worksheet and pieces from "Considering God's Creation"
This is a great addition to every science unit! It is so easy to follow and it has excellent worksheets that encourage children to really study God's creations. We have used the flower and tree field guide identification worksheets, the human body anatomy cut-and-paste activities, and more. This is something I would recommend to everyone! How many bones can you count in your body? 5. Read a book about the skeletal system. We read The Skeleton Inside You by Philip Balestrino. 6. Go over the scientific names of some of your bones. Pass out a sheet of printed labels that have each of the bones listed on them. Children can use a reference sheet from the Internet or a book for assistance. Have the children place each of the stickers over the named bones on their own bodies. Our stickers included cranium, mandible, maxilla, scapula, humerus, radius, ulna, carpals, metacarpals, phalanges, sternum, costals, vertebrae, sacrum, femur, tibia, fibula, talus, malleolus, calcaneus, tarsals, metatarsals, phalanges, patella, pelvis, and clavicle. Joke #1: What did the femur say to the patella? 7. Pair children up into groups of 2-5 and pass out pieces of beef femur (soup bone purchased from the grocery store) on plates. Mention each of the parts (periosteum, compact bone, spongy bone, and bone marrow). Have them peel away the periosteum. Give the children toothpicks so that they can scoop out marrow. Mention how some people eat bone marrow because it is high in iron (and considered tasty). 8a. Make a model of a cross-section of a bone. 1. Take a 4-inch piece of toilet paper, paper towel, or wrapping paper roll. Use red and blue crayons to draw blood vessels and nerve endings on the tube, as it is supplied with blood and nerve tissue. 2. Tape a piece of plastic wrap to the outside of the paper roll. This represents the periosteum, which is the bone's outside layer. The tube itself represents compact bone, which is the hard, dense layer. 3. Next, push some shelf liner into the tube. This represents the spongy bone, which is still hard but less dense than compact bone. 4. Put some crumpled up yellow tissue paper in the middle to represent the marrow. The yellow marrow stores fat. 5. Place crumpled up red tissue paper pieces at the ends of the tubes. Red marrow produces red and white blood cells. 6. Tape plastic wrap over the ends so that the tissue paper won't fall out. 1. Review each of the parts of the bone and what they do. Have the children guess what each of the items will represent in their edible bone model. 2. Tell them that the tortilla is the outermost layer of the bone, the periosteum. 3. Lay the 2 bread pieces in the center of the tortilla. They will be the spongy bone. 4. They can use their spoons to spread the orange jam in the middle of the pieces of bread, as it will be the yellow bone marrow. They should spread the red jam on the top and bottom edge of the bread, as it will be the red bone marrow. 5. Lay one strip of the licorice down the middle of the jam to represent the blood vessels. They can put the 2 pieces of bread together like a sandwich. 6. 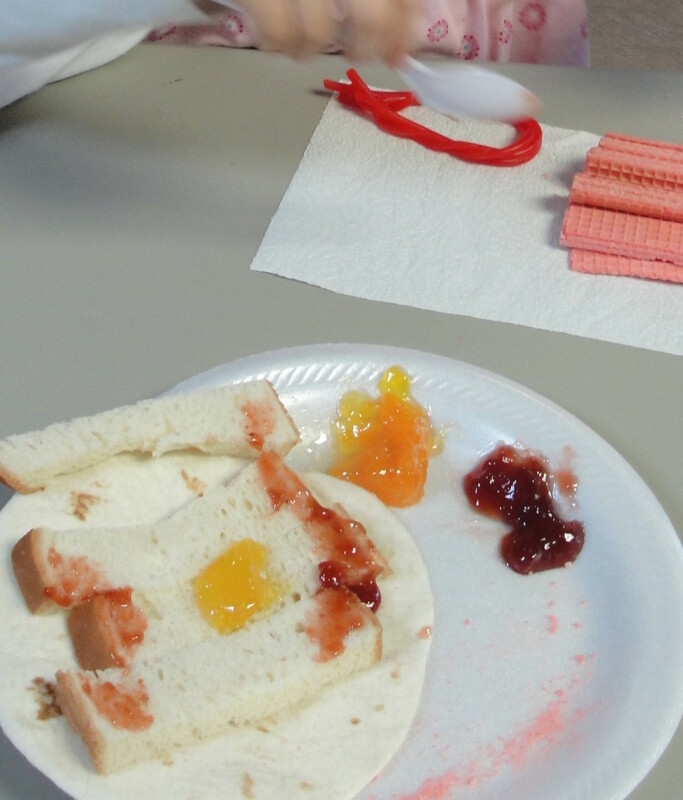 Separate the 2 sugar wafers into 4 pieces and place them around the 4 sides of the bread and jelly sandwich. These are the compact bones. 7. Wrap the whole thing in the tortilla. Wrap 2 pieces of licorice around the outside of the tortilla. These represent the blood vessels and nerves. 8. Review one more time what each part represents. Set these aside for children to take home. If you are not limited by time, they can eat them then. 9. Ask if anyone has ever broken a bone. Did they have surgery or a cast put over the bone they broke? (Show an x-ray or a picture of an x-ray. Pass around a cast if someone has one.) A bone is strong like steel and concrete, but the spongy bone makes the bone resilient so that it can bounce back after being compressed. 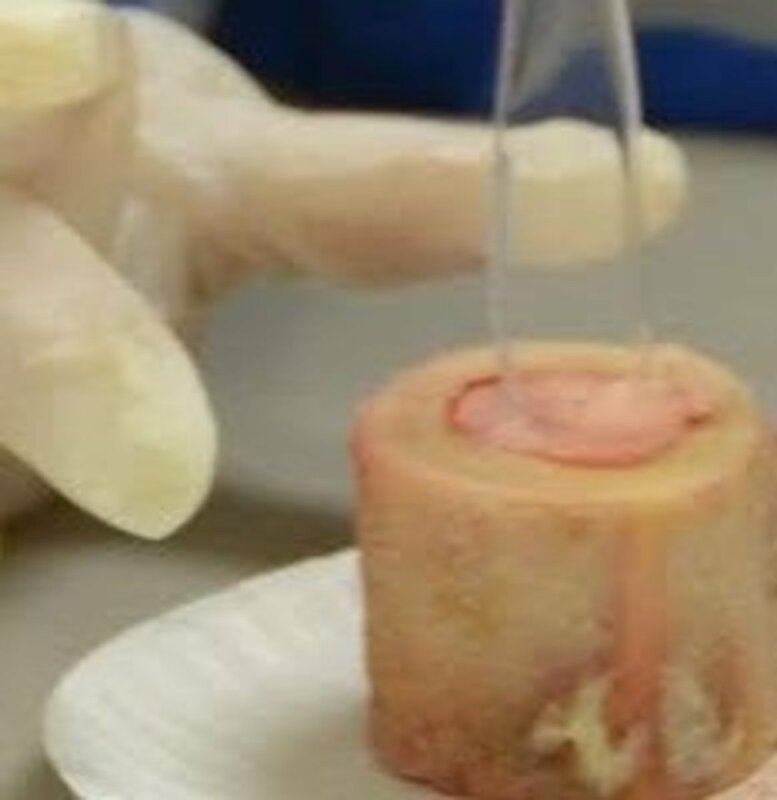 There is one main difference in this living tissue when compared to other matter. It has the ability to repair itself. A bone will start healing within one hour of a fracture. That's why it is an emergency when someone breaks a bone. As soon as possible, x-rays need to be taken to see if surgery is required to put the two bones back together. Within one hour of a fracture, leaking blood from the bone forms a blood clot. After a few days, cells called fibroblasts and osteoblasts make spongy bone in the open area. A callus forms on the bone as it continues to harden and blood vessels regrow over the area. It will continue to harden and be completely healed in 3 months. If you're not limited by time, read this book. My children loved how this is written in a superhero fashion. It has great illustrations that keep the attention of children and a highly educational text written as a fast-paced adventure. Even though it used the actual words (osteoblasts, fibroblasts, etc. ), because it portrays them as superheroes, my children remember their names and love this wonderful picture book. 10. (Optional) If you are not limited by time, make a model of osteon. Compact bone is made up of osteon, also called the haversian system. 1. Hold up some straws. These will represent the osteons, which are made from thousands of fibers of collagen embedded in mineral salts of calcium and phosphorus, which will be represented by this clay/play-dough. 2. Flatten two lumps of clay/play-dough. The fibers are laid in circular layers. 3. Use the rim of a drinking glass to make an indention in each lump of clay/dough. 4. 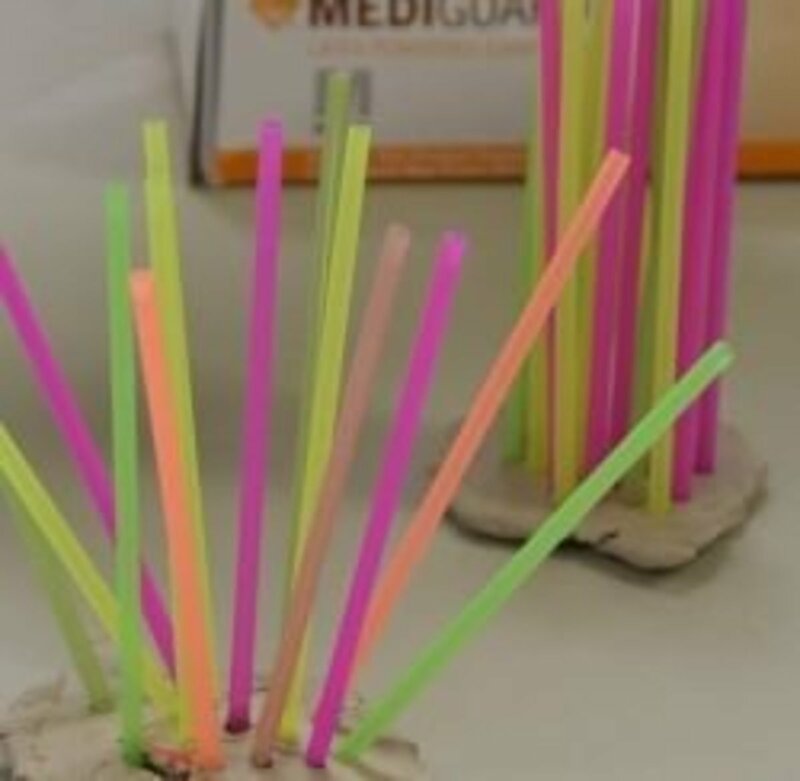 In one clump, make a tower of straws pointing in all directions. In the second lump of clay/dough, make a second tower with the same number of straws placed upright around the indentation. Ask the children which tower they think will be stronger. 5. Test the strength of each tower by placing books on top of it. The ring of straws should be much stronger. The circular pattern of the osteon in our compact bone makes our bones strong and hard. 11. (Optional) If you are not limited by time, make a model of the arrangement of the osteon/haversian system. 1. Give each child a sheet of paper. It represents the periosteum of the bone. 2. Use a few strips of double-sided tape to cover one side of the paper. Fold into a tube with the tape on the inside. Tape this closed with Scotch Tape. 3. 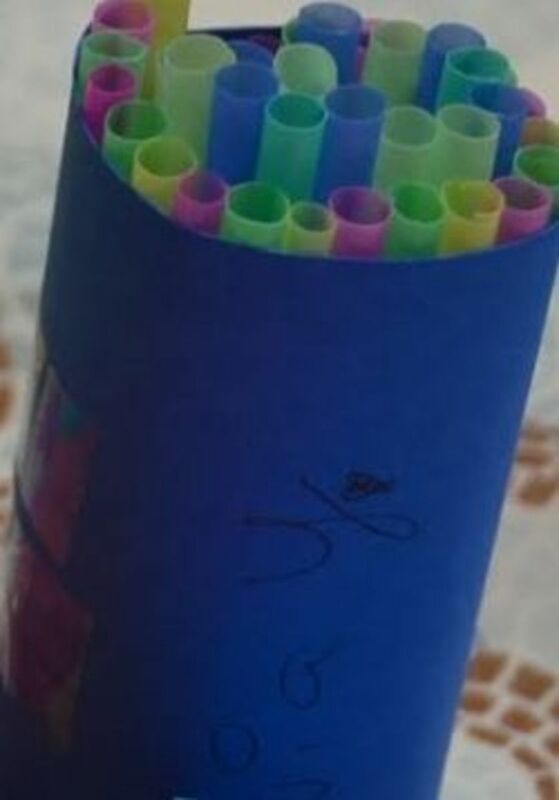 Stick the straws into the inside of the tube until no more can be added. The straws represent the osteon. 12. (Optional) If you are not limited by time, create a model of the vertebrae. Briefly talk about our backbones. 1. Construct a spine using a pipe cleaner (representing the spinal cord) and 3 different colored beads. 2. Fold a knot at the end of a pipe cleaner. 3. Working from bottom to top, add 5 lumbar vertebrae of beads of one color. 4. Next, add 12 Thoracic vertebrae of another color. 5. Finally, have the children add 7 cervical vertebrae that are the neck. Shape the spine into an S shape and you have a human vertebra. Be sure the mention that these are just the 24 articulating vertebrae. There are also 9 fused vertebrae in the sacrum and the coccyx that don't bend. As they bend their pipe cleaner spinal cords, they can see just how flexible our column of vertebrae bones is. You can also talk about what it means when someone says they have a slipped disc. "The Visual Dictionary of the Human Body" has a great illustration of this! 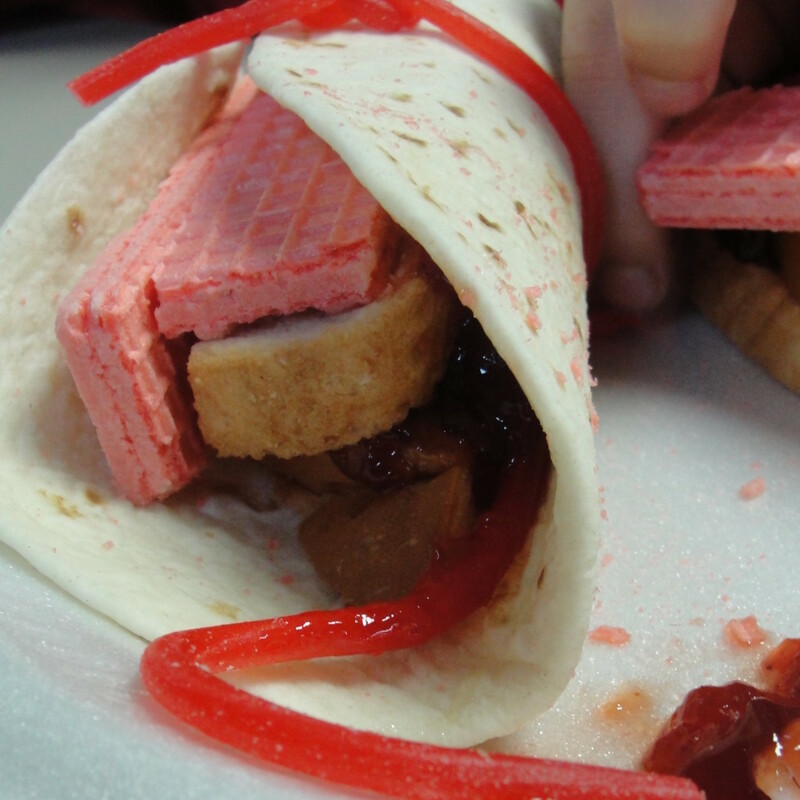 *You can also make an edible model of vertebrae using gummy Life Savers, pasta, and pipe cleaners. This has fabulous diagrams of all the parts of the human body including "slipped discs." 13. Explain what joints are. 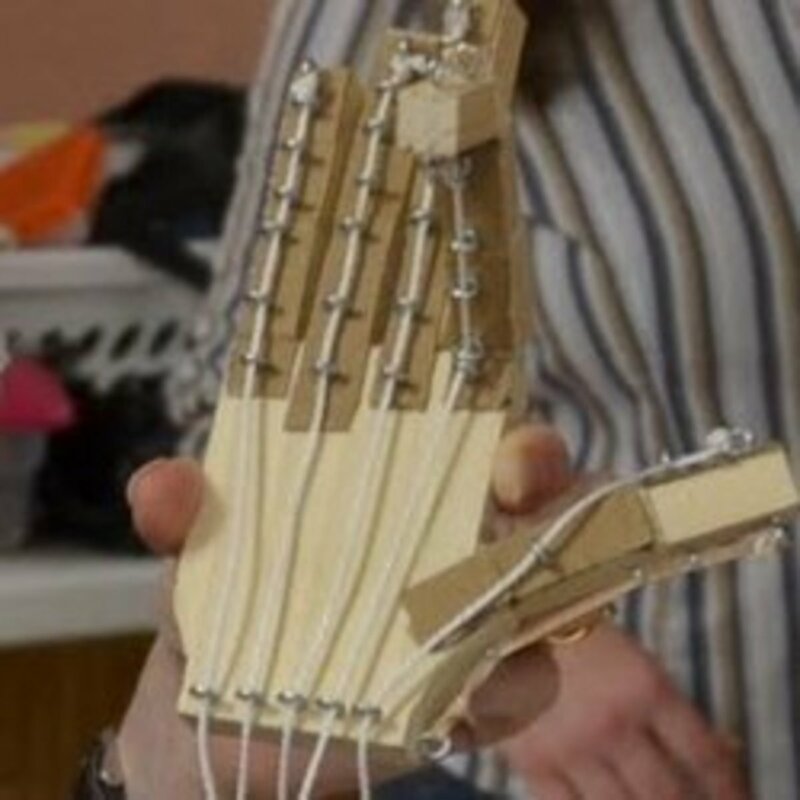 If someone made a hand model, you can use it to demonstrate the joints in your hands. We have over 200 joints in our body. There are 56 joints in each hand. Some joints allow a lot of movement. Some allow a small amount of movement. Some joints (like the ones in your cranium) hold the bones together but do not allow any movement. Between the joints is synovial fluid, which helps the joints move more easily. 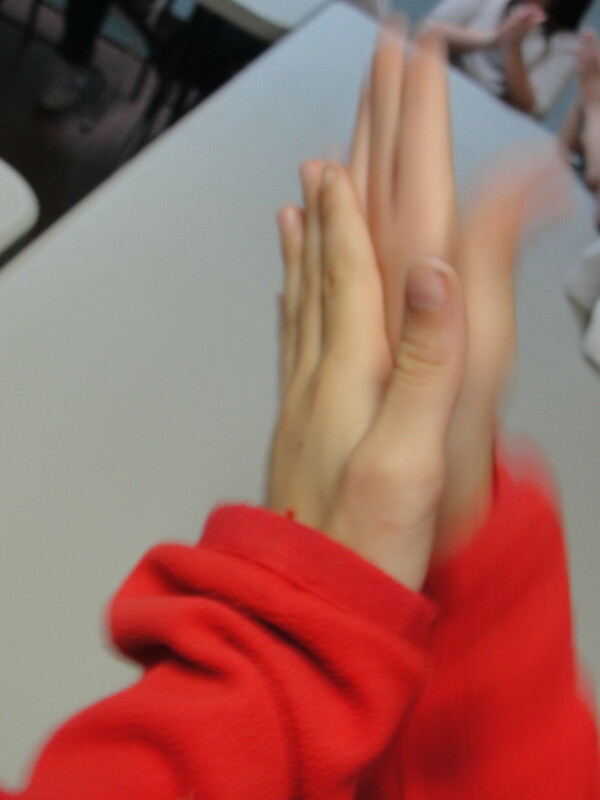 -Have the children rub their hands together really hard for 20 seconds and then notice how warm their hands are (from the heat produced by friction) and how rough it felt. -Put lotion on each child’s hand and tell them to rub their hands together for 20 seconds again. This lotion is like the synovial fluid that helps your joints avoid damage from friction. If you can only get one book for this unit, this is the best option. 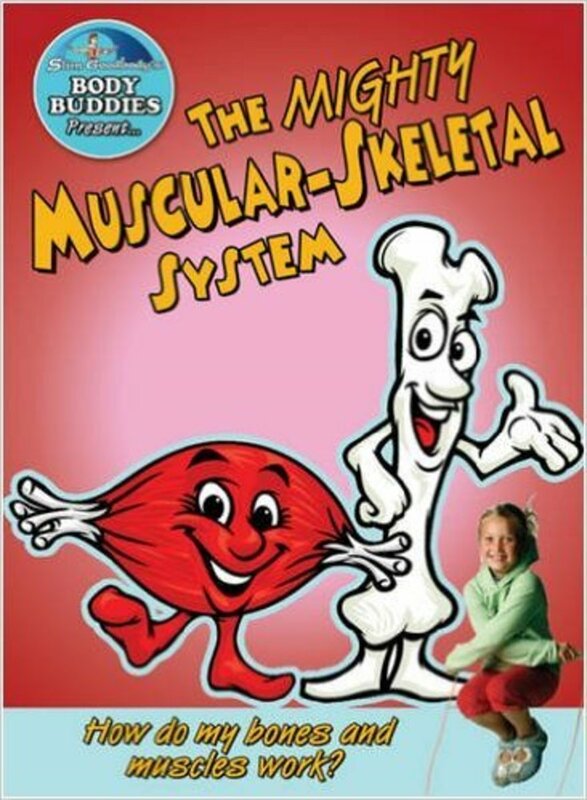 In addition to a number of picture books and children's books, I read the sections on bones and muscles from this book with my children. It is written in an interesting manner that children can understand, but it still contains "technical" terms so that children will develop the vocabulary they would need for a middle school- or high school-level biology class. I used what I read from this book during my explanations during many of the activities in this lesson. Moving the elbow, a hinge joint, during "Name That Joint"
14. (Having a game-show-host type of persona while presenting this would be ideal.) We are going to play a quick game of “Find that Joint”. I am going to describe a type of joint, and I want you to show me where that type of joint is in your body by moving it. The ball-and-socket joint is the most flexible joint, allowing movement in many directions. (Stretch your shoulders out and around in circles and wiggle your hips around to give them a hint.) Yes, your shoulders and hips have ball and socket joints. They offer a wide range of motion but are less stable than hinge joints. Move your shoulders and hips while you say, “ball-and-socket joint”. 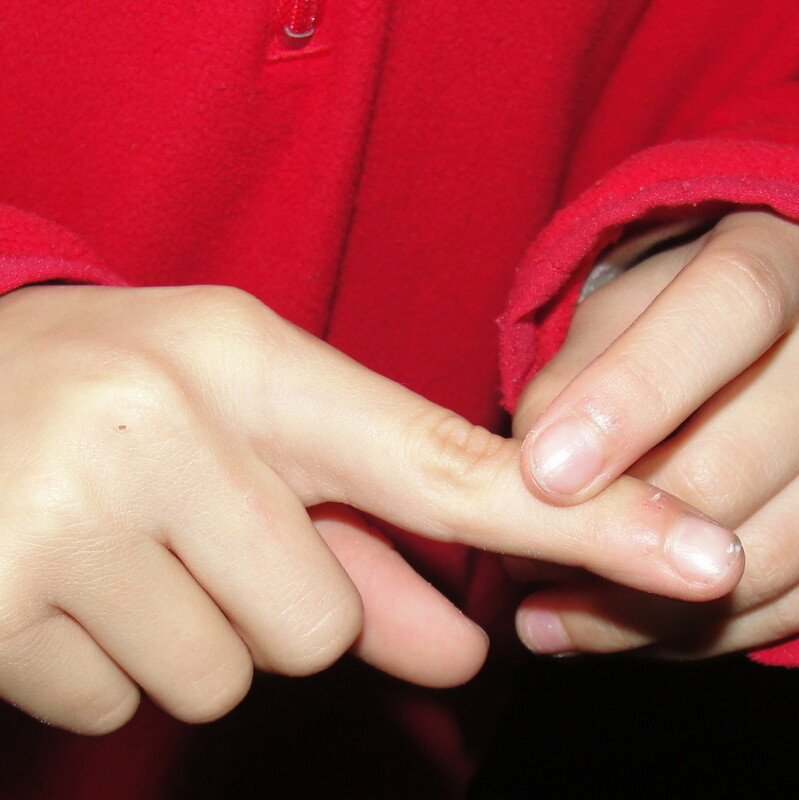 A sliding or gliding joint lets two bones that can move separately meet. (Flick your wrists, move around your ankle, and twist around your back to give them a hint.) Yes, your wrists, ankles, and vertebrae/spine have sliding or gliding joints. You have two bones that move separately meet and slide over one another, allowing you to bend and twist. Move around your vertebrae, wrists, and ankles as you say, “sliding joints”. Our last one is tricky, but I think you can guess what it is. A fixed joint is a joint that does not move. There are places in our body that bones come together in our body, but they do not move. (Tap your head as if you are thinking hard.) Yes, we have fixed joints where the bones of our cranium come together. Tap your cranium gently while you say, “fixed joint”. Thank you for joining me today on “Name that Joint”! Model of how our arm muscles move. 15. Discuss the difference between voluntary and involuntary muscles, how many muscles are in the body (more than 650), and how muscles work. Make a model of how our arm muscles move. 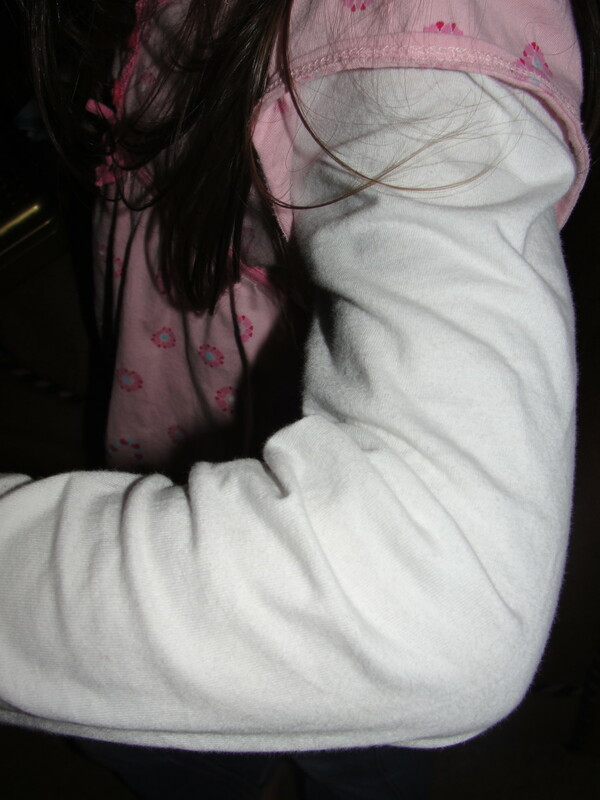 First, have the children flex their biceps and then their triceps. Explain how these 2 muscles work together to move your arm bones. Have the children fold and then unfold an 8" x 1" strip of cardboard in the middle to create a cardboard arm. Have them cut the bottom half into 2 strips to represent the radius and ulna. Cut 2 rubber bands so that they are straight. These represent the bicep and tricep muscles. Tape a rubber band muscle in a straight line to each side of the top part of the cardboard arm (the humerus). As the children pull one rubber band, it will make the sections of the arm bend toward each other and contract. This is the action of the biceps. When they pull the rubber band muscle on the reverse side (the triceps), the biceps lengthen and relax. 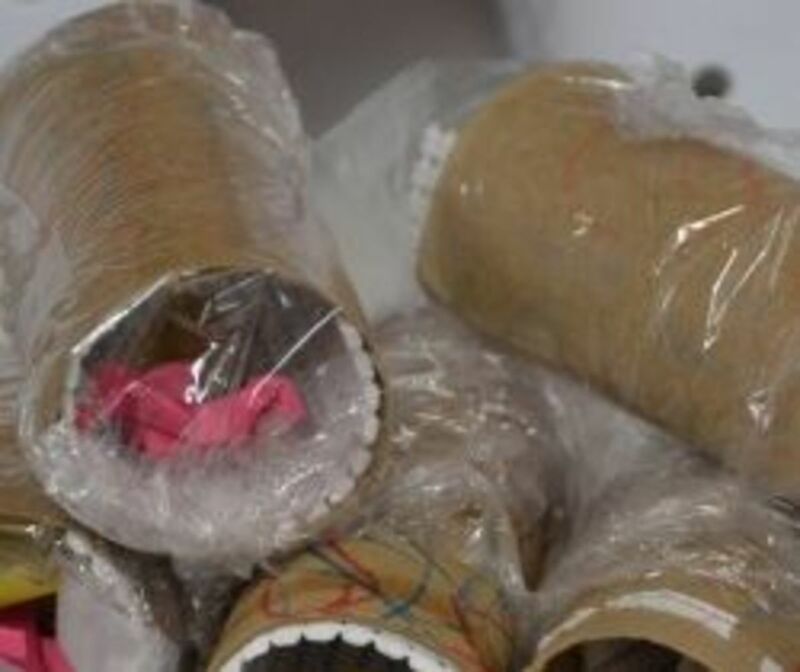 Have them put the cardboard arm in the crook of their elbow and then watch what happens to the rubber bands as they raise and lower their arms. 16. (Optional) If you are not limited by time, dissect a piece of lightly cooked meat (such as beef brisket). Mention how most of the meat we eat is actually the muscle of the animal. Allow children to separate the meat into thin strips of muscle fibers. Discuss how individual muscle cells are wrapped in a cell membrane and connective tissue. They are also bundled together in connective tissue (tendons) in order to securely attach skeletal muscle to bone. 17. Tell the children that they are going to become physical trainers. They will work in pairs to come up with an exercise for use to do that will target the muscle that they select. 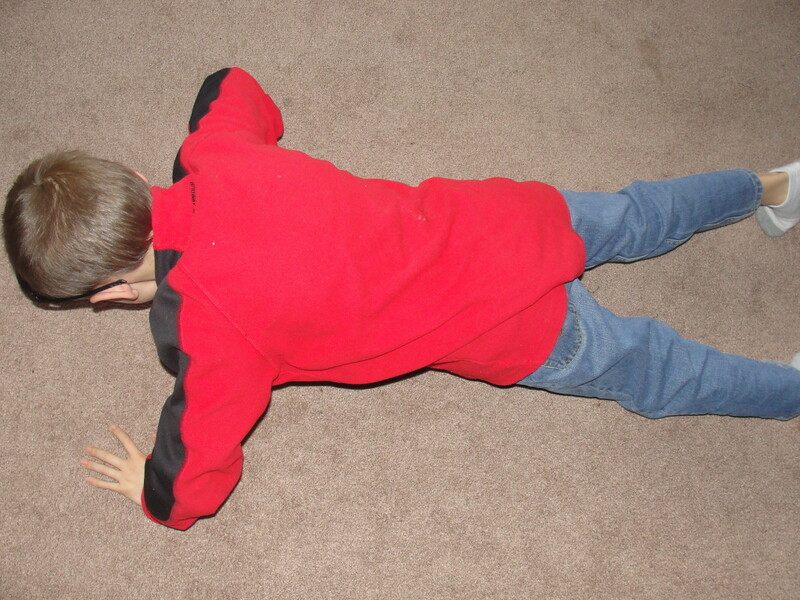 Assign each child (or pair of children) a muscle. They will need to locate the muscle on the sheet they have that lists where the muscles are located and then come up with an exercise. Teachers/parents can provide help as needed. Joke #2: Why couldn't the skeleton cross the road? This provides a clear explanation about the skeletal system and has engaging illustrations. 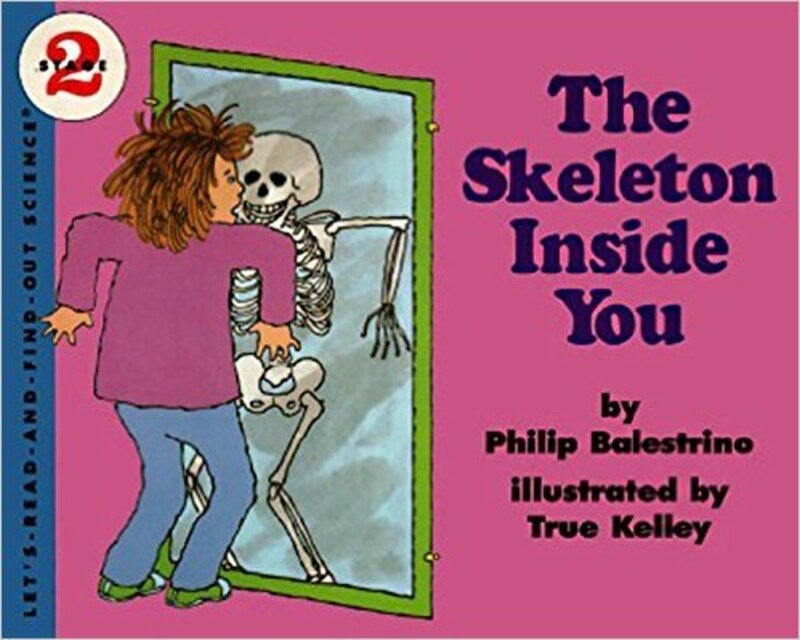 It would also make a wonderful read-aloud book for a class if you are not able to obtain The Skeleton Inside You (Let's-Read-and-Find-Out Science 2) by Philip Balestrino. The Skeleton Inside You (Let's-Read-and-Find-Out Science 2) by Philip Balestrino does a great job of explaining the skeletal system in a fun manner. Of all the books, I would recommend this one as the best option for reading aloud to a class. 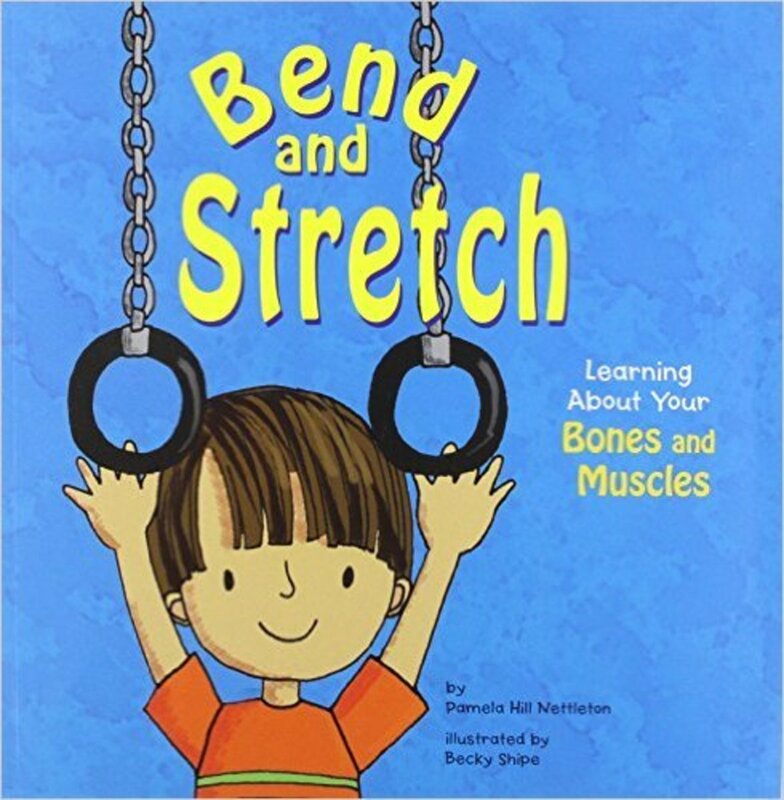 Bend and Stretch: Learning About Your Bones and Muscles (The Amazing Body) by Pamela Hill Nettleton does a great job of explaining how both systems work together in a simplistic manner. The illustrations appeal to even younger children and the information is quite educational. It is the best book option for preschool- or kindergarten-aged children. 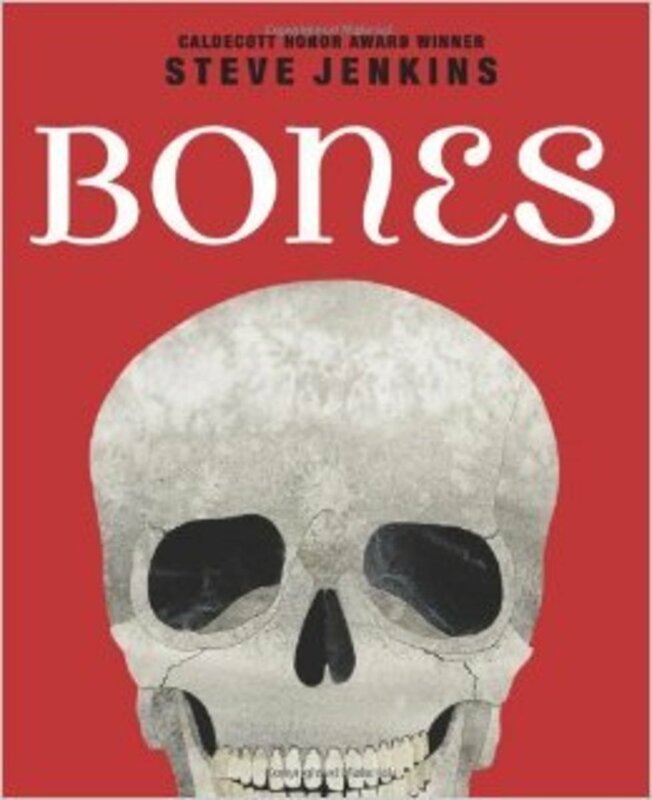 Bones: Skeletons and How They Work by Steve Jenkins compares human bones and skeletons to various animals' bones. While the book does call humans an animal (I just skipped over those words), this book does a great job of showing how perfectly God created each animal and their skeletons. That's not something directly mentioned in the book, but is what we discussed after reading the book. 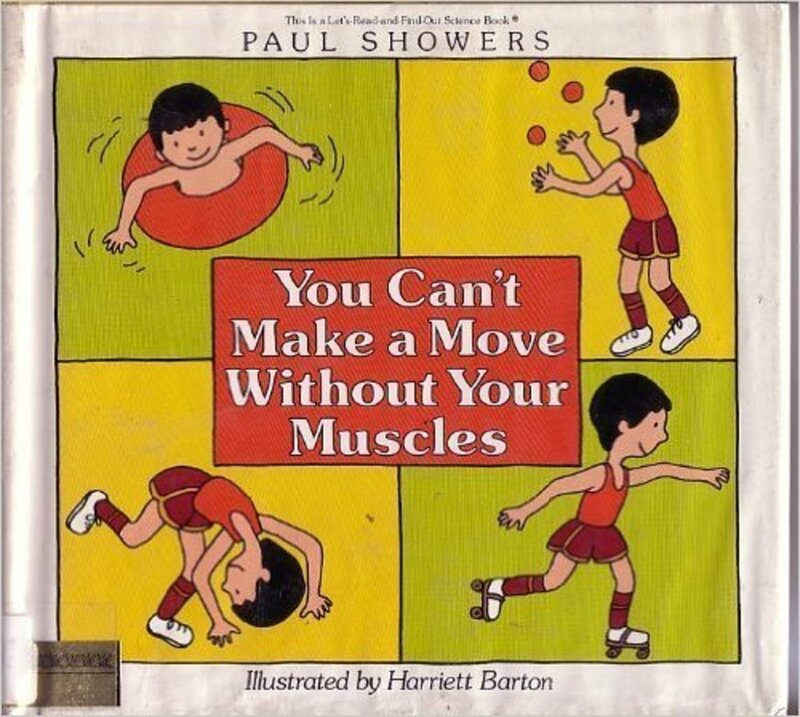 You Can't Make a Move Without Your Muscles (Let's-Read-and-Find-Out Science Book) by Paul Showers and The Mighty Muscular and Skeletal Systems: How Do My Muscles and Bones Work? (Slim Goodbody's Body Buddies) by John Burstein were also favorites from the large stack of children's books we read through. Joke #3: Why didn't the skeleton go to the party? 1. Optional homework: Download and print out free printable lapbook pages for the skeletal and muscular systems. 2. Extra credit: Build a working model of a hand using cut cereal boxes and string. 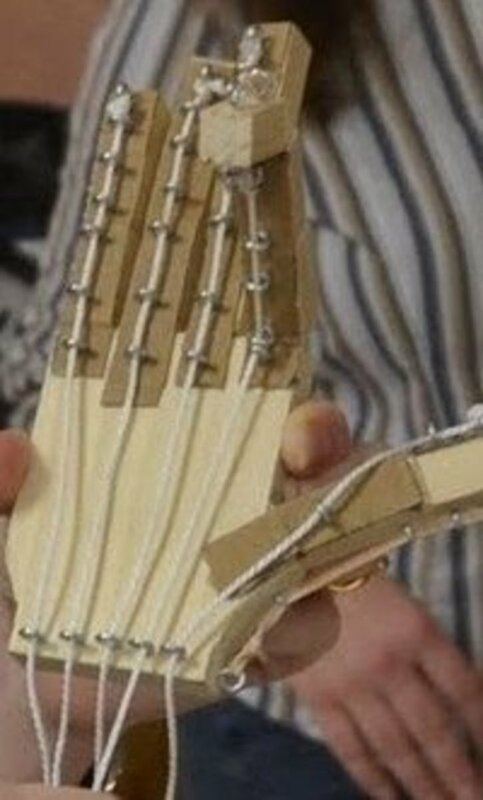 To make a working wooden model of the bones of the hand and tendons (like the one in the picture above). You could use cut pieces of foam instead of wood, if needed. 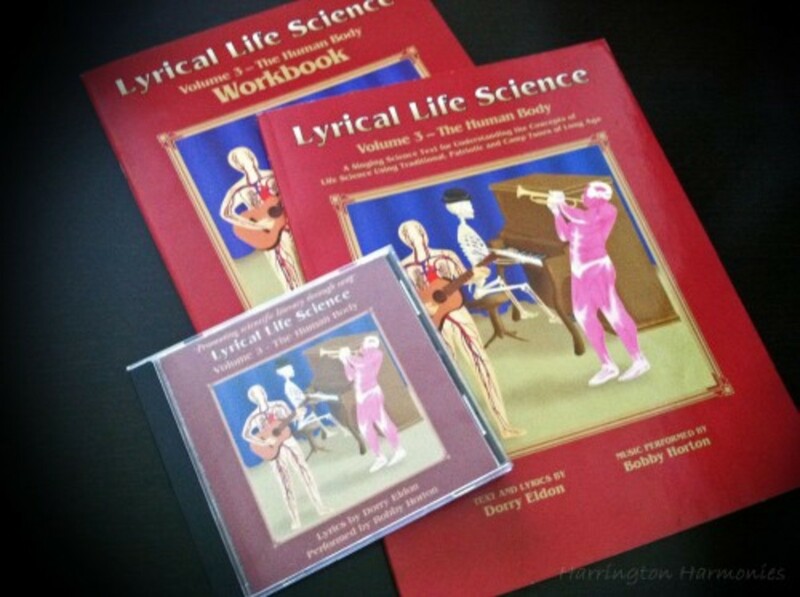 Throughout our unit on the human body, we listened to the CDs from Lyrical Life Science. They have catchy tunes with plenty of substantial scientific material in them! They also include great workbooks with fill-in-the-blank pages that go along with the CD. The material would be ideal for upper-elementary-to-middle school-aged children, although even my youngest ones have learned the songs from the CD. School House Rock, Animaniacs (skip the line about evolution), and Hannah Montana are also great! Quickly review the parts of the bones and what each part does. Ask the children what they think each of the food items will represent in their edible bone model. Take everything except the tortilla off their plate and place the other items on the napkin. Tell them that the tortilla is the outermost layer of the bone. Who remembers what it is called? (Periosteum) [Have children repeat periosteum.] We’ll talk a little bit more about it later. Lay the 2 strips of sandwich bread along the center of the tortilla. Ask them what they think might be spongy like this cake that is in their bones. Yes, the angel food cake is the spongy bone. [Have children repeat spongy bone.] Spongy bone is a network of pores and tunnels interconnected in a pattern that makes the bone strong yet resilient. Ask if anyone has ever shut their hand in a door or car door. Did your hand break? If it didn't break, you can thank your spongy bone. Spread the outside tips of the bread with the red jam. 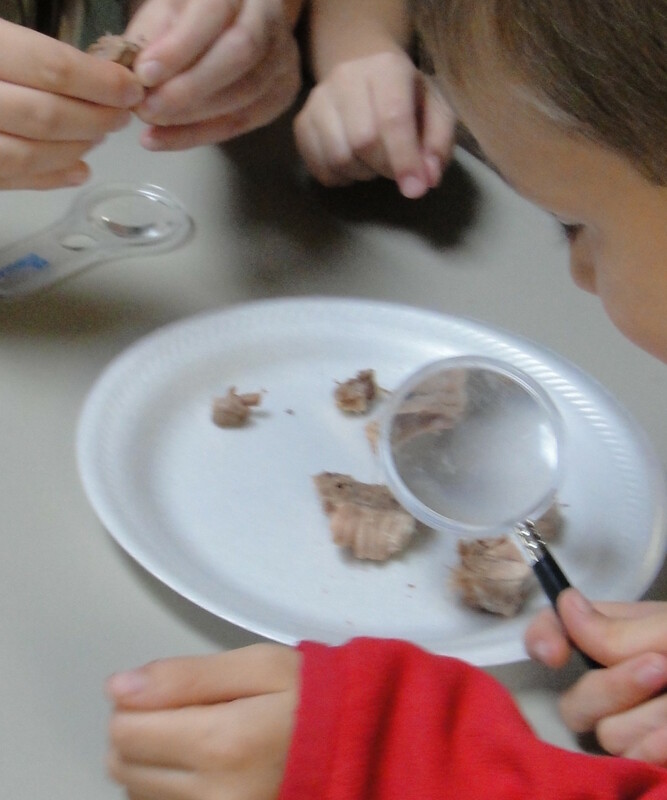 Ask, “What is inside the spongy bone?” It is what you pulled out of the cow bone using your toothpicks. Yes, it is bone marrow. [Have children repeat bone marrow.] There are actually two kinds of marrow: red and yellow. Red bone marrow is the kind in which blood cells are made. When you cut yourself and bleed, your body needs to replace that blood. Your red bone marrow is where your new blood cells come from. You need lots of red blood cells because they do not last very long in your body. Even if you do not cut yourself, your red blood cells die after only about 4 months, so you need your red bone marrow to frequently manufacture new blood cells to replace the ones that die. Spread the bread with the peach/apricot jam in the center of the bread. Ask, “What is the other type of bone marrow? Yes, it is yellow bone marrow. Your yellow bone marrow stores lipids. Who knows what lipids are? Yes, they are fat cells. Lipids are used throughout your body for many important functions. Who can name something that fat does for our bodies? Do you remember that the cell membrane we learned about last week (which was represented by the plastic ziplock bag) is mostly made up of lipids, or fats? If you had no lipids in your diet, you would not have cell membranes. Could you have cells without cell membranes? No! You could not survive without your cells. Thank God—He made fat! Sandwich the bread pieces together. Place the sugar wafers along the sides of the bread. Ask, “What type of our bone is hard like this?” Yes, our compact bone is smooth and hard and is made of many layers of calcium-rich minerals woven together with collagen. Compact bone is the second strongest material in our bodies. Wrap the whole thing in the tortilla. Wrap 2 pieces of licorice around the outside of the tortilla. Blood vessels and nerves cover the outside of the bone as well. Who remembers what it is called? Have everyone say, “periosteum.” Yes, bones have feelings too! Do you think it is painful when you break a bone? Yes, it is. The reason why it is painful is because of all those nerves in your periosteum. The blood vessels take nutrients to the bone and take out the trash – the waste made by the bone cells. The periosteum also helps in the building of new bone. Ask, “Who likes building with Lego’s?” Sometimes after you build a rocket ship with Legos, you decide to tear it down and make it into a helicopter. Sometimes your new creation is better and sometimes it isn’t. Your body is doing the same thing with your bones. It is constantly remodeling, or building new bone and destroying old bone. Sometimes this makes them better and stronger, and sometimes it doesn’t. It all depends on what you eat and how much exercise and sun you get. That’s why you should ask your moms to go to the park each week! That will help your body get the exercise and sun it needs to make better, stronger bones. 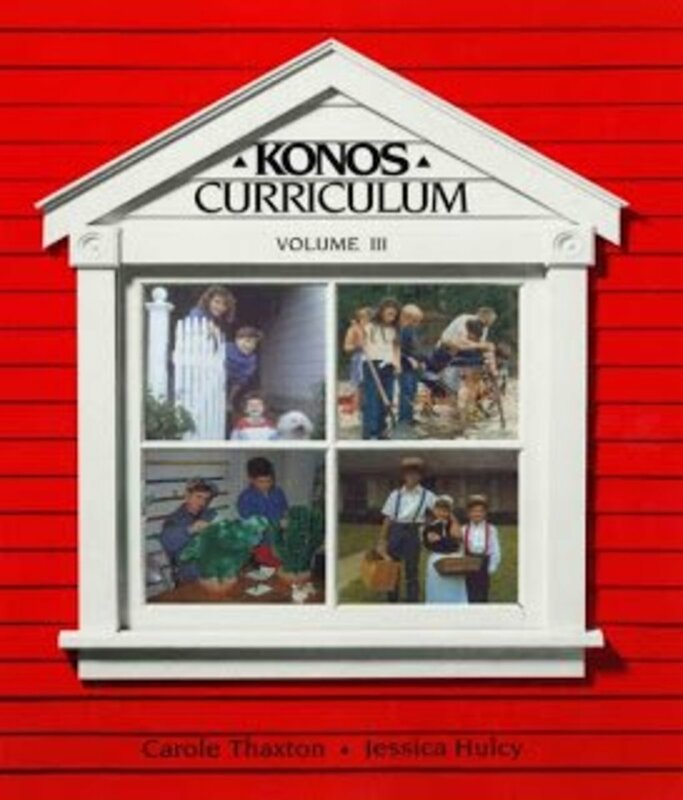 If you're new to homeschooling or in need of some fresh guidance, I highly recommend Konos' HomeSchoolMentor.com program! 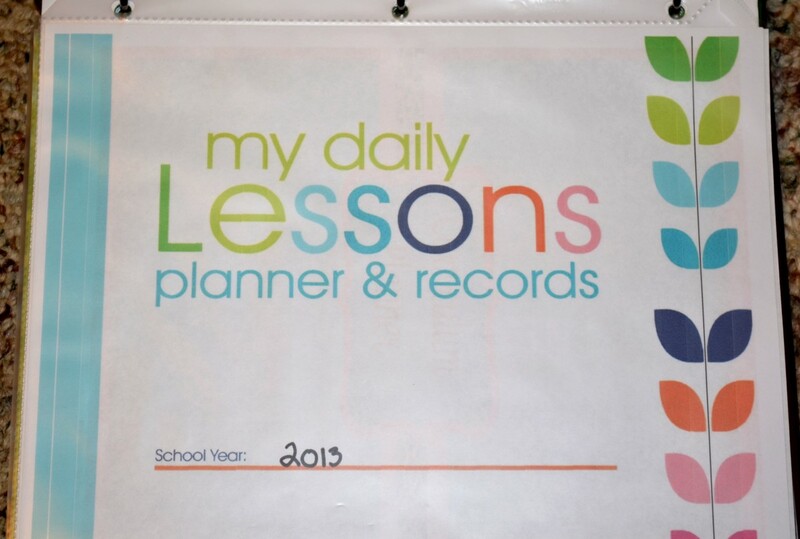 Watch videos online of what to do each day and how to teach it in this great hands-on format! 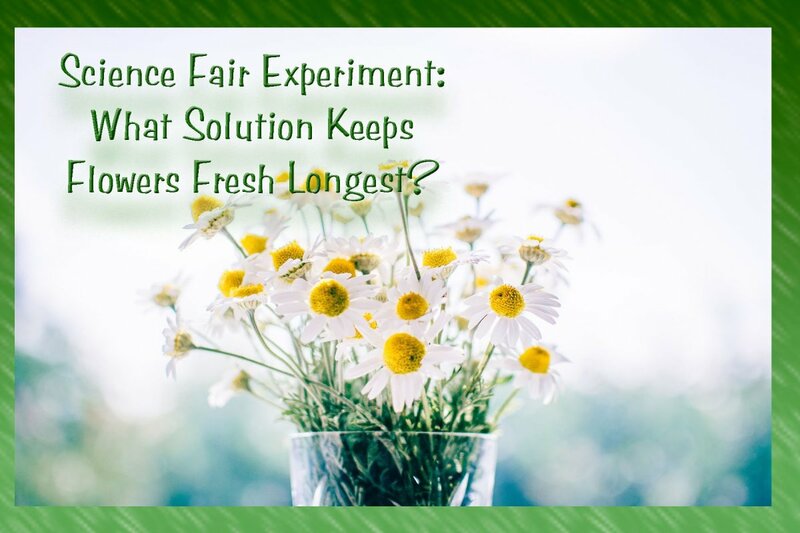 Comments, questions, or ideas - Please let me know you dropped by! I love getting feedback from you!!! Thank you so much! That is wonderful you will be able to use my lessons with your co-op! 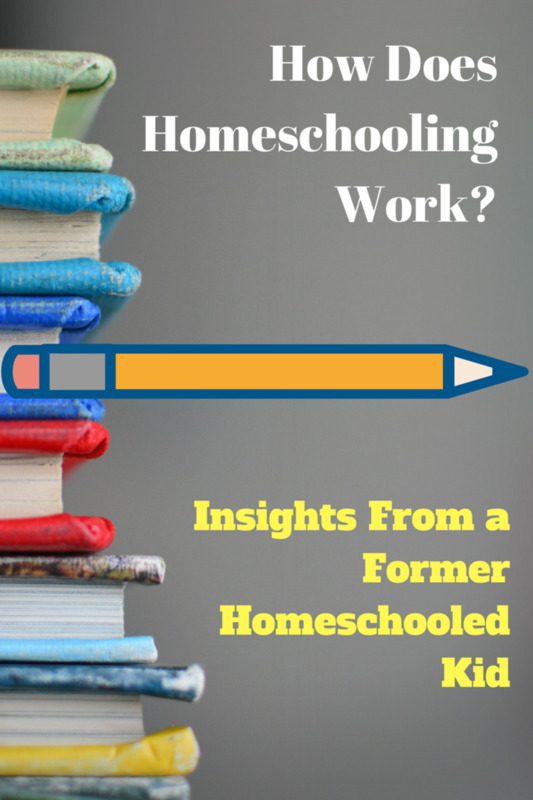 I love all of these ideas and plan to use many of them with our homeschool co-op. Thank you! @anonymous: Great! Thank you so much for dropping by! Wonderful, I will use this with my daughter she'd enjoy these! thanks so much for sharing. @anonymous: Thank you! 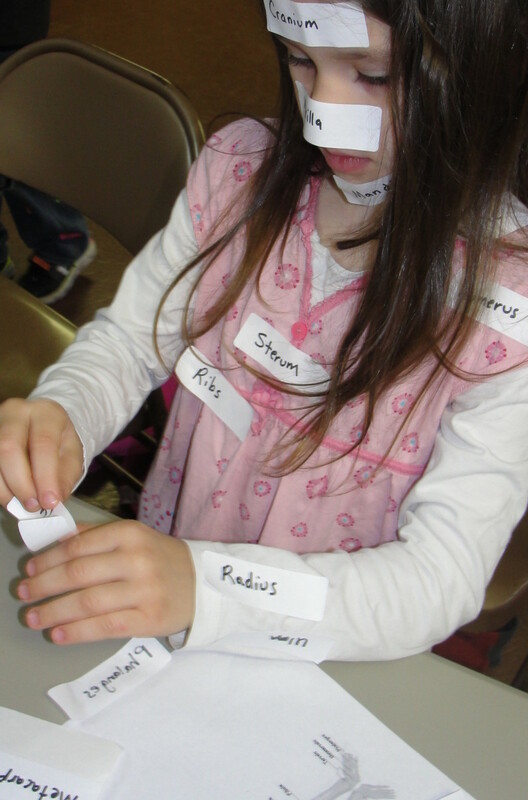 The children did definitely enjoy labeling themselves! thank you so much for posting these lesson plans! they are so creative, fun, and "meaty"! i have been so stressed about the science class i am teaching for co-op next quarter and now, after seeing your lesson plans, i am so excited! (okay, still stressed, but much less so!) thanks again!!! brilliant. What a resourceful way of teaching.